We have built our business on great customer service and word of mouth recommendations from our customers’ testimonials. 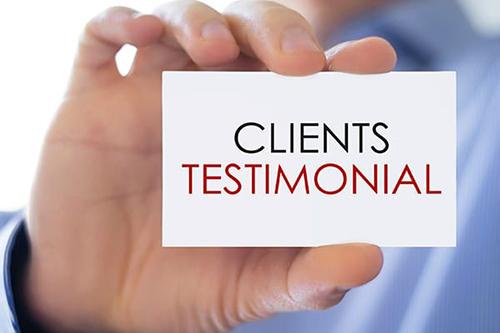 Read the testimonials from our customers about our service and business below! They sprayed the yard to kill the mosquitoes and their eggs. It went really good, the guy was on time, nice, and helpful. I purchased a $49 deal for a one time professional mosquito control treatment. The service went well. They did exactly what the deal stated. The staff was good and professional. I had no problem scheduling the deal. I purchased a big deal for $49 for a one-time professional mosquito control treatment. Everything went perfectly! They showed up on-time and explained everything as they went along. They came within a few days after I called. I purchased a Mosquito big deal for this service and it was just fine. I appreciated being able to have the service and there were no problems. Their treatment was just what was needed. Their treatment was to augment what we already have. We have a system in place but their treatment was to add additional benefits. It is an annual event that needs to be done. I had no complaints and the person who came was professional. He did his job and that is all I can ask for. These guys are extremely cordial and professional. Guarantee their work and are always on time with a smile. I would recommend them any time. They were great. They have late hours scheduling, which is great for my work schedule. The technician, Lewayne, was very nice as well. I will continue using their service. Great to work with! Easy to make appointment and did what they promised. They came promptly, it was easy to reach some one and schedule appointment. I will continue to use their services. Very satisfied. Shawn came to my home today for my annual termite inspection. He answered all of my questions very professionally and with clarity and enthusiasm. He is an expert in his field and you are lucky to have such a high caliber employee. My family is glad that we have Sovereign as our pest control company and we will recommend your company to our family and friends. I have been using your services for several years and I would like to comment how pleased I am with service I receive. My wife and I always request Marion Smith, as our technician whenever possible. Marion is always on time, very professional, informative, courteous and always has a smile on his face. Its like having a family member over when he arrives. He remembers that we have cats and is adaptable to our needs and offers helpful information when we have questions about any pest control matters. We always look forward to Marion visiting and feel very comfortable that we are getting the very best service from Sovereign. Another pleasant experience with Sovereign this week for a standard treatment. As usual, Junior was prompt, energetic, informative and very thorough. Also, the slip covers that technicians put over their shoes before entering is a very appreciated touch. Keep up the good work. Junior came to our house today and did such a wonderful job! He listened to everything that I had to say and then explained how he would take care of our “bug” problems. He goes above and beyond to make sure that we are satisfied with our service. It is so refreshing to meet someone with enthusiasm and that takes pride in what he does. 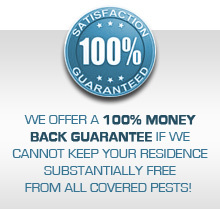 We will definitely recommend Junior and Sovereign Pest Control to our friends and family! I am writing this letter in order to express my gratitude for the high quality service provided by two of your employees. Marion Junior Smith- I’ve been with your company for 2 yrs now and every service call ends up the same… VERY SATISFIED. I must say it starts with the your call center and ends up with me pulling away from my home knowing I am rid of any creepy crawlers until the next service call. Every service call with Marion is amazing. It’s like seeing an old friend every time. He is knowledgeable and offers great advice. His replies include words such as ‘Definitely’, ‘Surely’, ‘Absolutely’ and ‘Certainly’. Not to mention is also funny. I am very particular so I do appreciate when I call into the service center it is known and documented I am looking to set up an appointment with SPC and with Marion. Recently I had a termite issue and quickly called SPC. You sent over a service representative to assess the issue and the same service rep came back to treatment my home. I couldn’t believe it – yet another outstanding employee. His name was Randy Fann and he just recently started with SPC – good call on the new hire. Randy was very knowledgeable, friendly, polite and good spirited. Both Marion and Randy answered all my questions, very helpful and at the end of day I am very happy to continue my relationship with SPC. I appreciate the attitude and believe that SPC has trained their staff very professionally. Showed up on time, very courteous technician…and they got rid of the mosquitos. Junior came for our annual inspection. He does a great job! Will keep using Sovereign. Contact us, we’d like to hear your testimonials.